As the sun rose and saluted a beautiful Los Angeles weekend, students and Angelenos alike crowded UCLA campus Memorial Day Weekend for the university’s annual JazzReggae Festival. 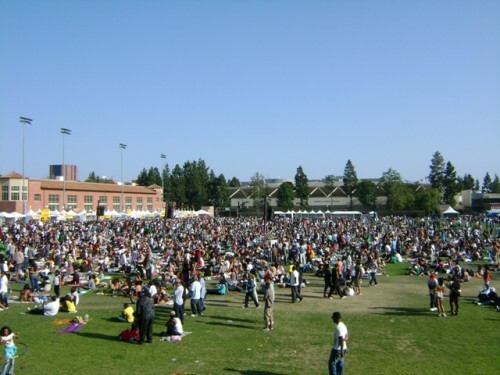 JazzReggae, a staple in the UCLA and Los Angeles community, is actually the largest student-run event in the country, and proudly boasts an annual attendance of over 30,000. The impressive festival consists of two days and a variety of music-Jam Day and Reggae Day. 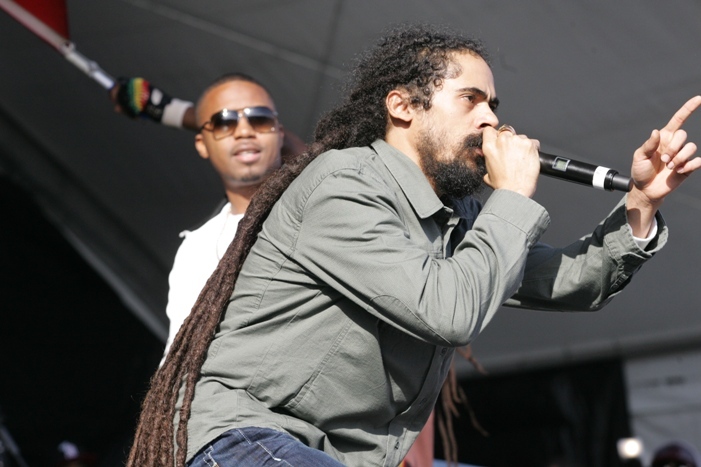 Jam Day (formerly called Jazz day; hence JazzReggae), begins the festival with a day of hip hop, jazz, funk, and soul, and sets the vibe for an energizing weekend of great music. This year’s Jam Day headliners were Q Tip, former member of A Tribe Called Quest now gone solo rapper, and Raphael Saadiq, an extremely talented Oakland-born artist who poetically merges the genres of hip hop, soul and R&B. While Jam Day set the mood, Reggae Day truly brought down the house. Damian Marley and Nas headlined after Barrington Levy, with additional standout performances by Etana and Nneka, a Nigerian born artist touring alongside Damian and Nas. Nneka’s deeply soulful performance was a highlight for me, and Etana’s infectious energy had the entire audience on its feet. 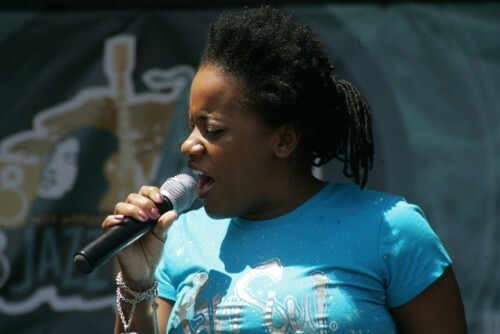 The female performers were especially great this year and emphasized the abundance of talented women in Reggae today. Especially when paired next to Cham, the dirty-talking dancehall sensation who performed between them, the ladies’ lyrical energy was a refreshing showcase of talent and passion. 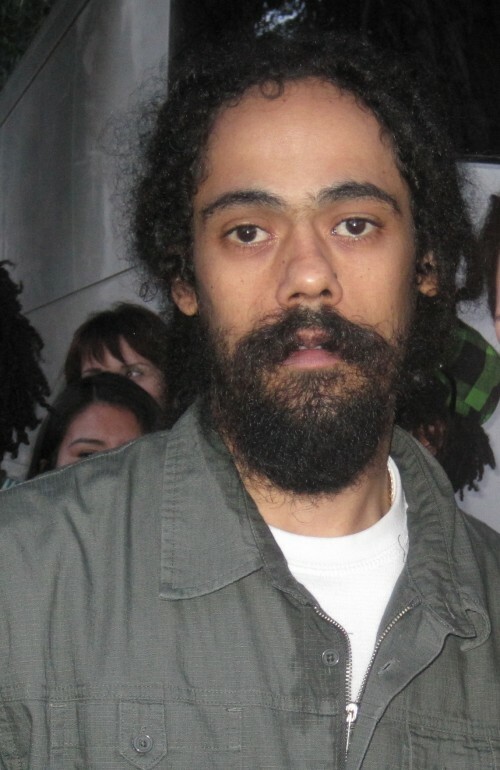 idge the gaps between reggae, hip hop, rap, dancehall, and the African musical tradition which conceived all these genres, creating an entirely unique sound and style. This gifted experimentation and musical collaboration really makes one wonder why it isn’t more commonplace among reggae and rap. The overwhelming success of their first collaboration, “Road to Zion,” proved that such a partnership could lead to remarkable and moving music. Their daring decision to create a fully collaborative album is not only an extreme musical rarity, but in the case of Nas and Damian, absolutely works. The performance consisted of numerous collaborative songs from the new album, as well as classics from each artist individually. The mixture of rap and reggae influenced a dynamic energy which was electrifying to be a part of, and everyone in the audience found something diverse in the music to enjoy. 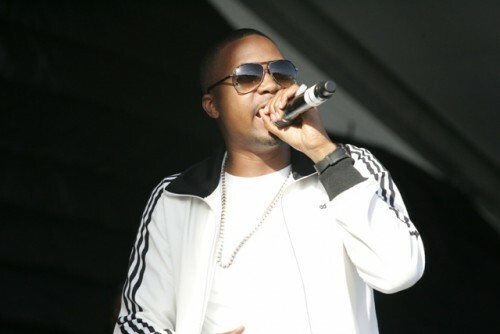 Whether it was Damian’s unique and engaging lyrical flow in “Patience” or Nas’ powerful finale rap solo in the “Strong Will Continue,” their performance was the notable highlight of the festival and a testament to everything exciting and innovative in the modern music industry. In answer to the question I posed Damian concerning whether he would like to continue this innovative streak with Nas and genre experimentation, he replied with a decisive “Hopefully…definitely.” I can’t wait to see what they come up with next. Thanks to the entire JazzReggae team for such a fantastic weekend of great vibes and music.